Beth Fantaskey's Jessica's Guide to Dating on the Dark Side was one of my first reviews here at Persnickety Snark. It was such a touching, funny and subvertive take on vampire lore that I was instantly struck by it. 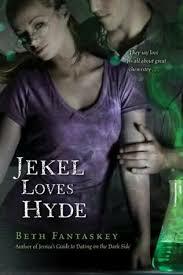 Her newest book, Jekel Loves Hyde, will be in stores from May 3rd, 2010 in the US. About one year ago to this date, my first novel, Jessica’s Guide to Dating on the Dark Side, began shipping out to bookstores and making its way to readers. Meanwhile, halfway around the globe, a very cool person named Adele Walsh was launching her own new venture – the Persnickety Snark blog. And within weeks, these worlds collided in a way that is still having transcontinental reverberations… at least for Adele and me. I’ll admit: I was reluctant to read a review of my work on something called “Persnickety Snark.” When the nice folks at Google Alerts e-mailed to let me know that Jessica’s Guide had popped up there, I purposely avoided checking it out. I mean, “persnickety?” “Snark?” What were the odds that I could please a reviewer who defined herself as picky and sarcastic? And then one day – as I recall it – a person with the lovely, unusual name “Adele” e-mailed from Australia to nudge me to check out the review and invite me to maybe do a guest post or interview. I don’t know if it was the fact that Adele awarded Jessica’s Guide not the traditional reviewer’s stars but rather flying monkeys, or whether we just sensed, instinctively, that we “clicked” somehow, but from that moment on, a friendship was born. Over the course of 2009, Adele sent my kids awesome Australian gifts; e-mailed to cheer me on with her quirky, random humor; and patiently endured my attempts to educate her about life in Pennsylvania’s semi-Amish country. For my part, I’ve worried as her health got dicey in the last few months, celebrated when she took her exciting new job in Japan, and failed – because how could I ever succeed? – in expressing my undying gratitude for her endless support. I’ve also watched Persnickety Snark evolve to become sleeker and more professional – but thankfully without losing its unique voice and appreciation for a good laugh. There’s always a ton of genuinely informative, interesting content, delivered in a way that keeps me scrolling to see what the heck will come next. Adele – I want to congratulate you on a year of awesome, insightful blogging. You deserve the fantastic reputation that you’re getting in the publishing world. As we start a new year across all the time zones, cheers to a great blog, a wonderful blogger, and – most of all – a fantastic friend. And may 2010 be a banner year for books, readers and kindred souls, however they connect! 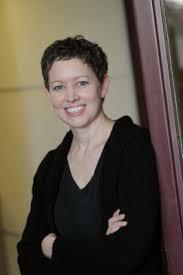 Beth is a fantastic friend and it's been a honour to have her guest blog on this anniversary. Her most recent title, Jekel Loves Hyde, is available in all bookstores that know what they are talking about from May 2010. Jessica's Guide will be released in Australia from February 2010. 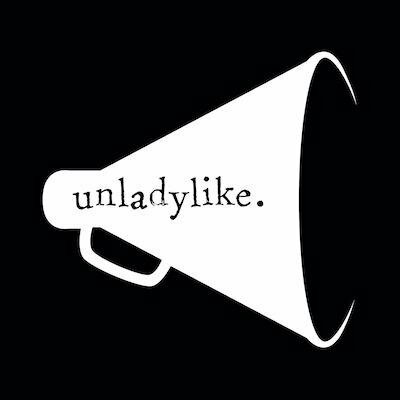 You can check out her website by following this link.